Do you have large screen projection TV that you want to get rid off? 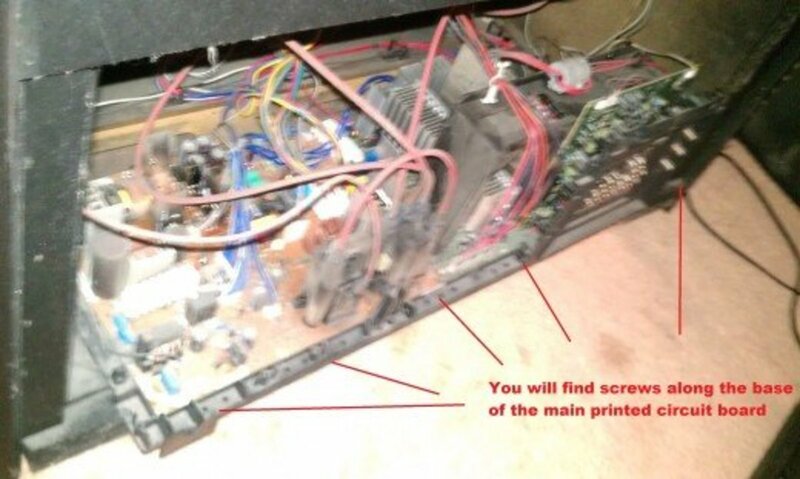 This instruction will give you a guide on how to break down and disassemble a projection TV into manageable pieces for disposal at a dump or landfill where the pieces and components can broken down further and have a chance for recycling. 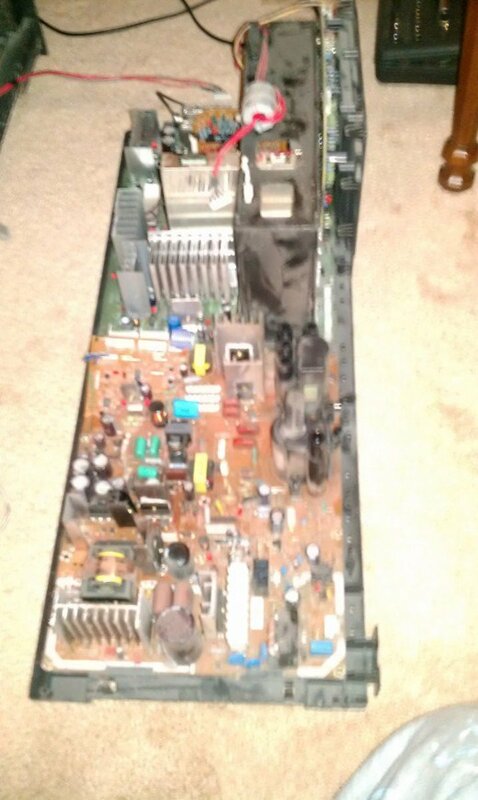 In my opinion, breaking down the Toshiba was not difficult. 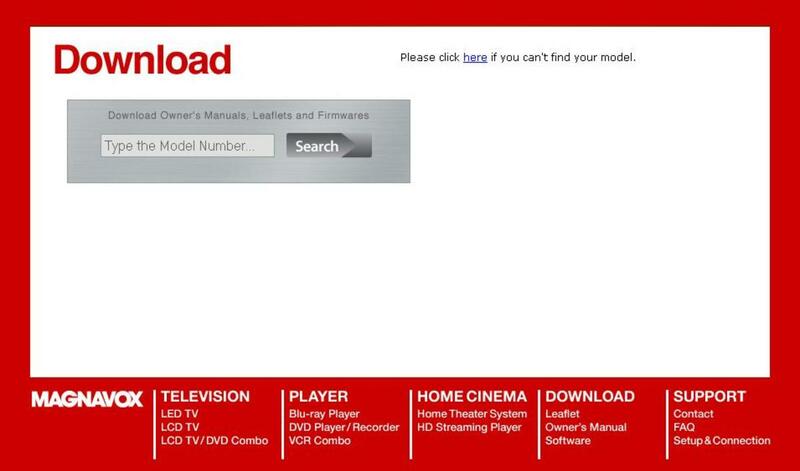 The design was user friendly for internal access. However, the case around the main components was glued. But I have a solution for destruction. The TVs of today that uses LCD or LED technology are very lightweight. 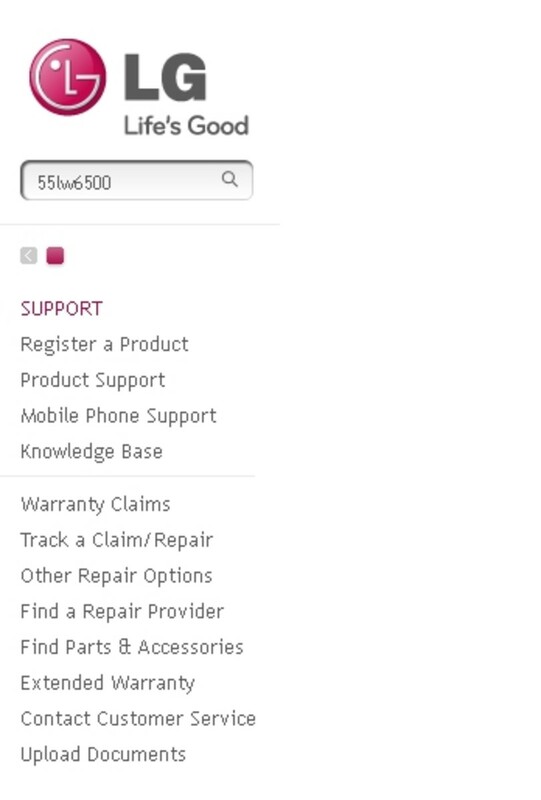 Even though I purchased a 50 inch LED TV with someone to help me, I really didn’t need the assistance. The box is large but there were two straps to handle and carry the box. I am not that strong but I was able to lift the box and move it around by myself without any problems. Older TV use cathode ray tubes (CRT) to provide video and there have been large CRT TVs made to provide screen sizes up to 36 inches. However, newer technology came around to support even larger screen sizes to provide a big screen movie experience. One of the technologies that became popular during the late 90’s to early 2000’s, were the Projection TVs. There were two types of projection TVs in the market: front and rear. A rear projection TV looks more like a standard television set. 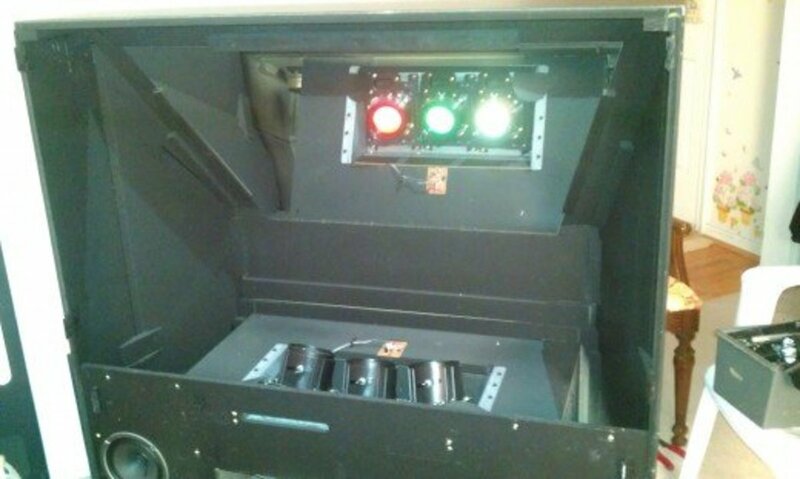 The rear projection TV contains a red, green, and blue (RGB) projector, which produces the images to the back of the TV. This projector can be CRT, LCD, or DLP. The Toshiba 50H82 model uses CRT projectors. The back of the TV contains a mirror, which receives the picture which combines the RGB colors into any color from the original movie source (from cable, satellite, disc, and so on). The image that is projected to the rear mirror is what the viewer sees in the front screen. First, move the projection TV to a place where you can get dirty and make a mess. I used the living room at first to just remove all the heavy parts prior to moving it to a final disassembly area. In this case, I used my garage. Gather all the tools needed to open up the case and remove components like large circuit boards. In the Toshiba 50H82, there were lots of small slotted lag screws. I used a cordless drill with an attachment to remove them. 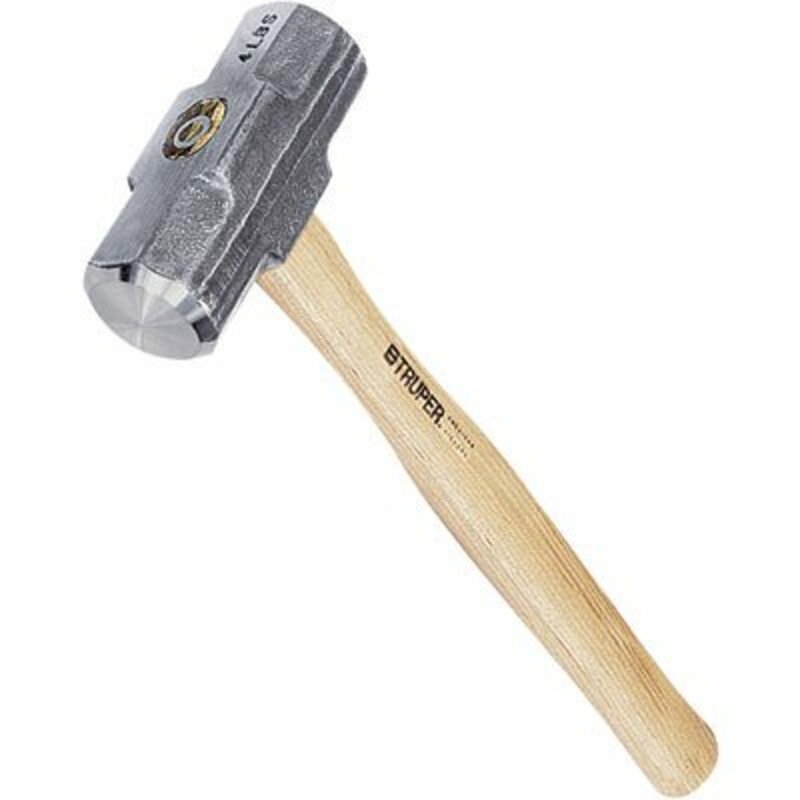 Be mindful of any loose parts like screws or debris flying from using brute force during your work. 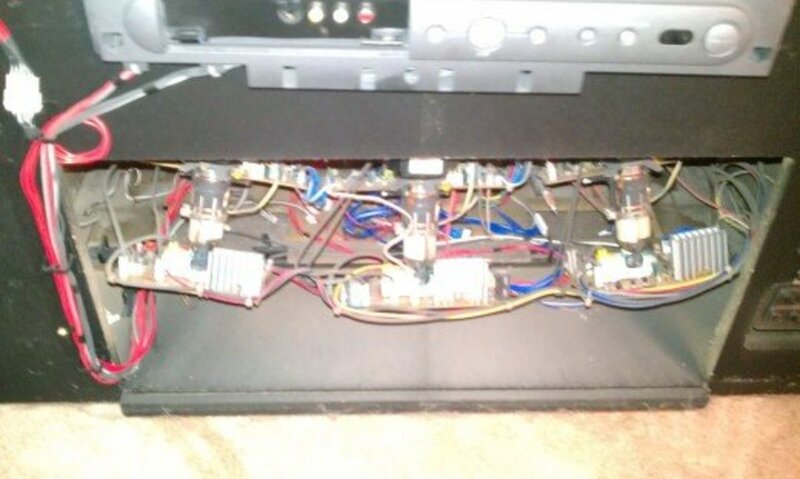 Note in the pictures (Fig 5a and 5b) that there are several cables and wires connected to the main board. You can just cut them with wire cutters or scissor or disconnect by hand. I started disconnection by hand in case someone wanted to put the TV together again. After running into some connectors that seem impossible to remove, I just outright cut them. 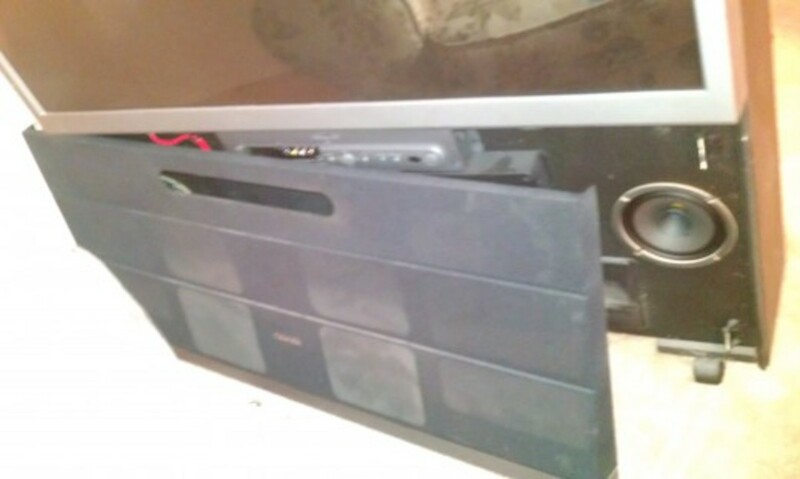 I imaging some scavenger trying to put this TV together so I thought I would make it easy to put back together. Unfortunately, the connectors were so stuck and I was running out of patience. After separating the cables from board, you can put it aside to work on the next step. (See Fig 6) As you can see it is quite large for a PCB. We will need to remove the RGB projectors from the top. However, the large front screen is in the way and has to be removed. Ensure the large plastic piece holding the screen is unscrewed from the bottom. 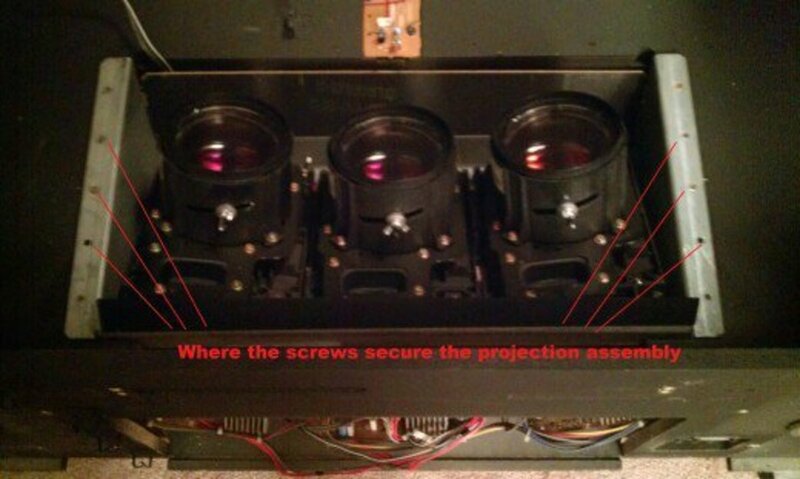 Locate the screws that are holding the Red Green Blue (RGB) projector assembly from the top. 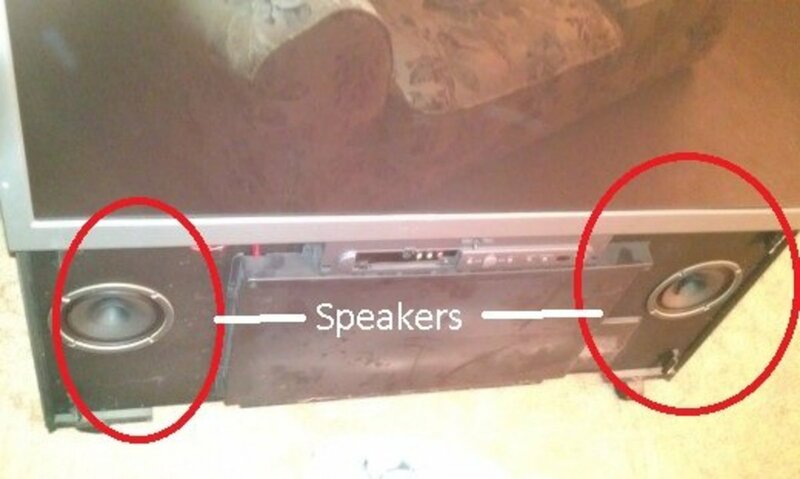 (See Fig 11) Unscrew the projection system and ensure no wires are connected to the rest of the TV. If there are any connected wires, detach or cut. 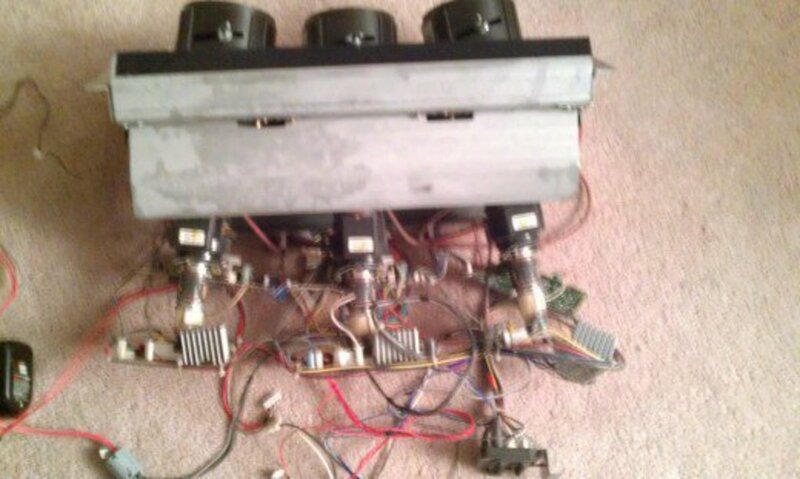 The RGB projector assembly was the heaviest piece other than the large TV body. (See Fig 12) Put this piece in a box because there are many sharp edges that could hurt you. 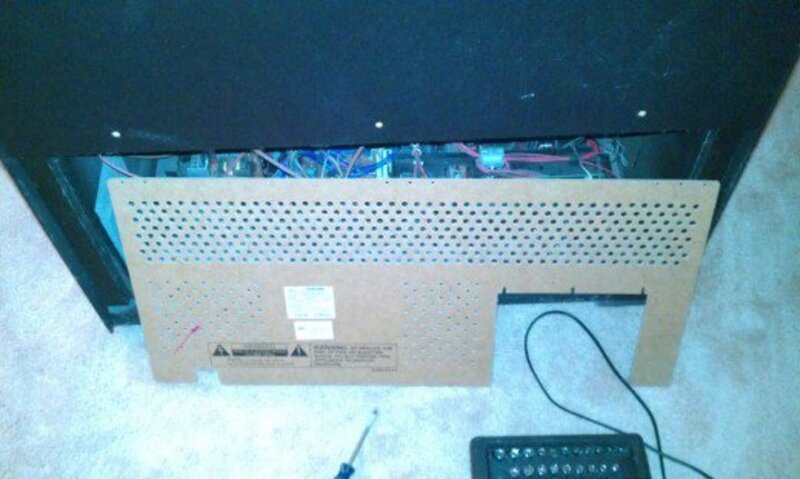 Put the box and the projector assembly out of the way. 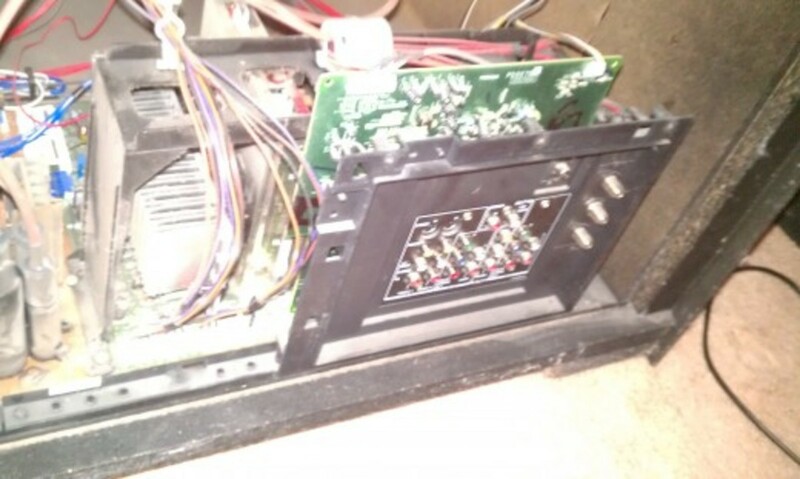 Even with the main circuit board, front screen, RGB projection assembly and speakers removed, the hollowed out TV is still heavy and very bulky to put in a small truck. However, the TV is lighter for moving. You can now put the large TV in a big truck or van and get rid of it. 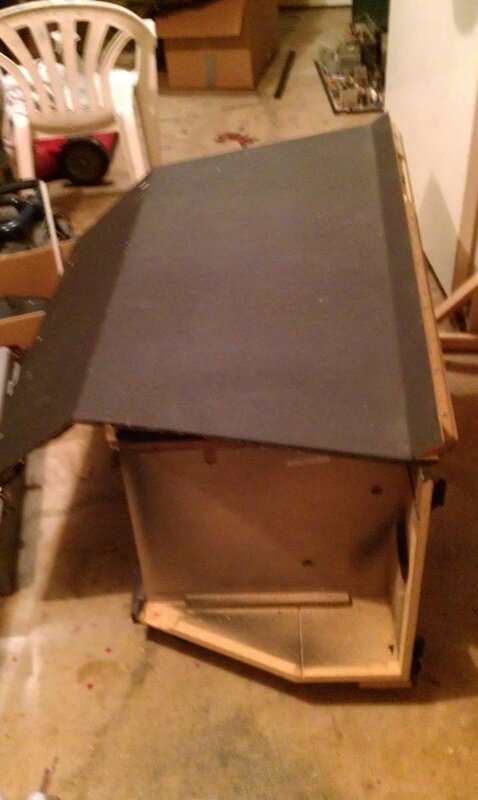 You now have the option of disassembling the TV body even further to transport the pieces in a small SUV or car. 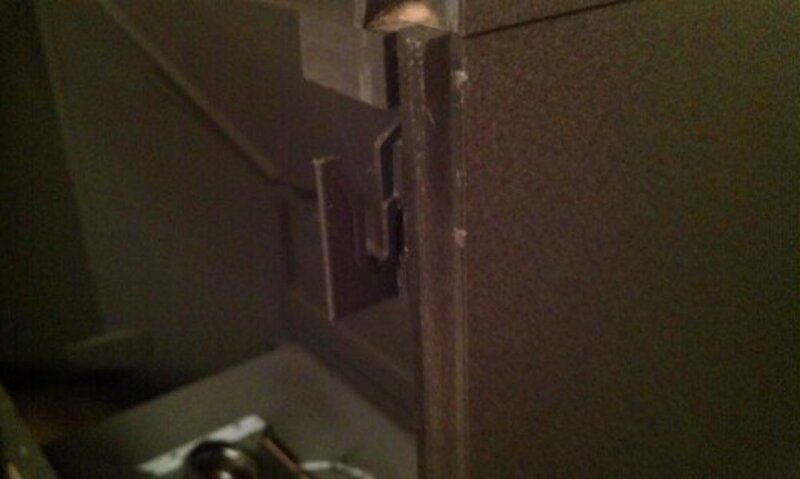 The problem with the rest of the Toshiba 50H82 TV is that there are no other areas to unscrew. The remaining pieces are glued together. 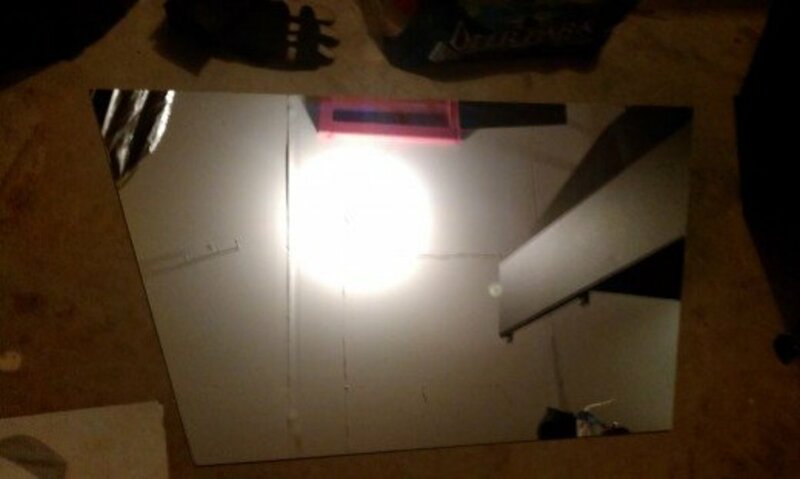 Brute force will be needed to break the rest but there is a large glass mirror to deal with. Warning: This is glass. Be cautious when handling! After making the large wooden pieces small enough to fit in your van or truck, you can neatly stack the pieces in the vehicle and transport to your local landfill. If you desire, the particleboard scrap wood can be reused for making furniture. 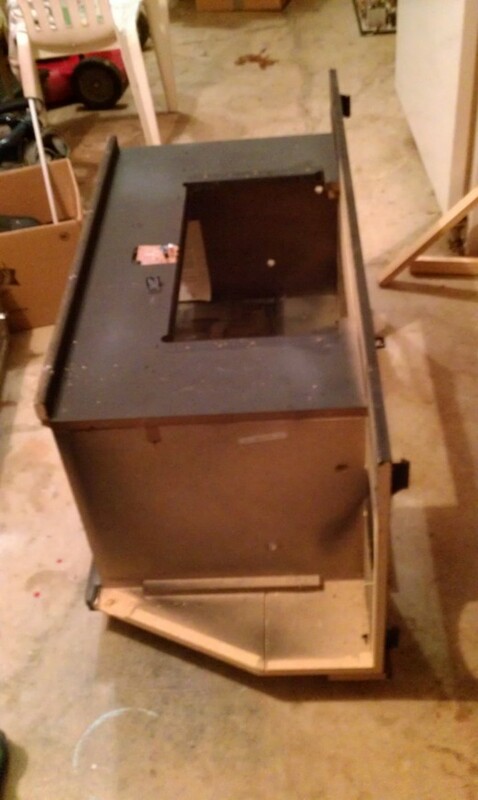 The husk of the TV’s cabinet can be converted to a table or cabinet for the new TV. 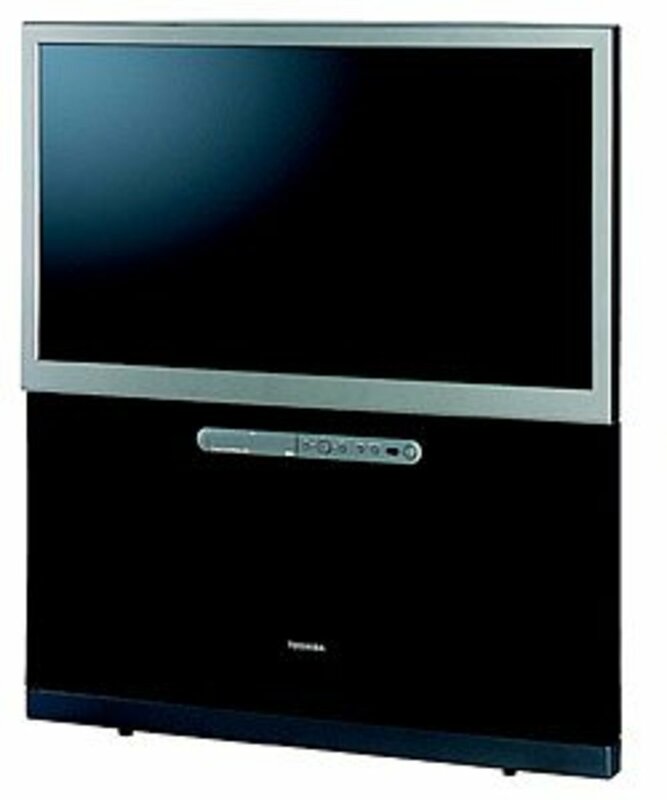 The Toshiba 50H82 50 inch rear projection TV has sentimental value. I purchased this TV around 2002 after my second kid was born and I knew I would be at home more to care for them. Having large high definition TV made entertaining kids and guests more fun. Ten years later, the video started to get fuzzy. I was not able to play any console games like Nintendo Wii and Xbox 360 anymore. 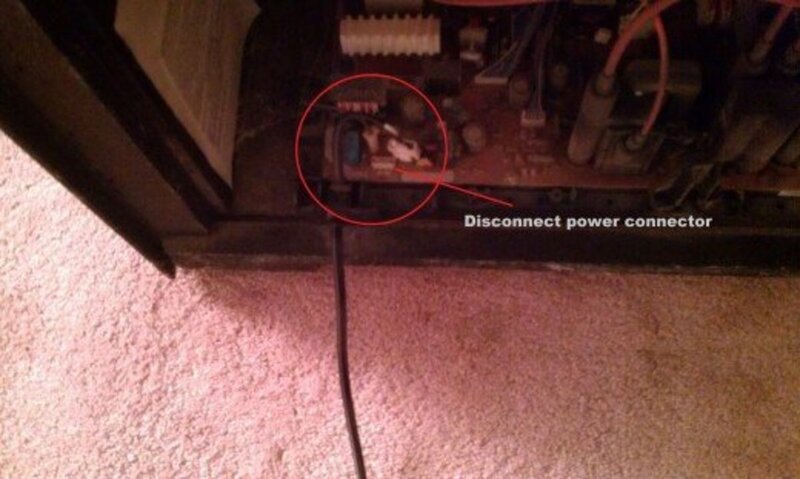 It would cost approximately $100 dollars just to have a technician just to come to the house to troubleshoot. 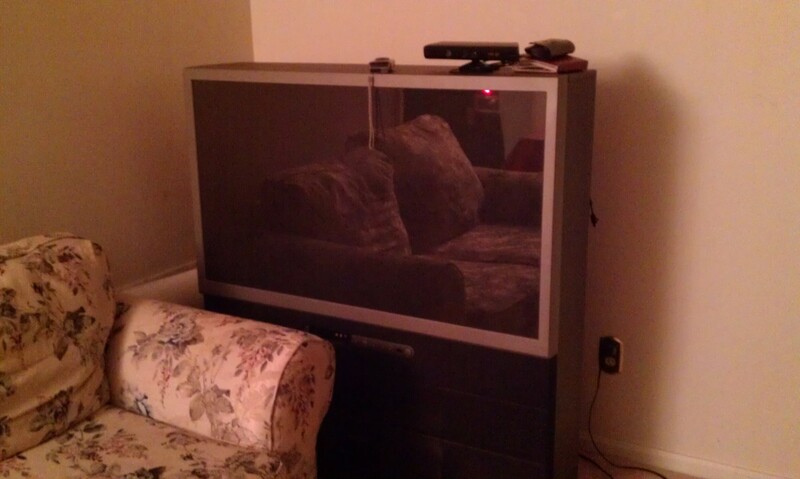 Leaving this goliath TV on the curb is just an eyesore. 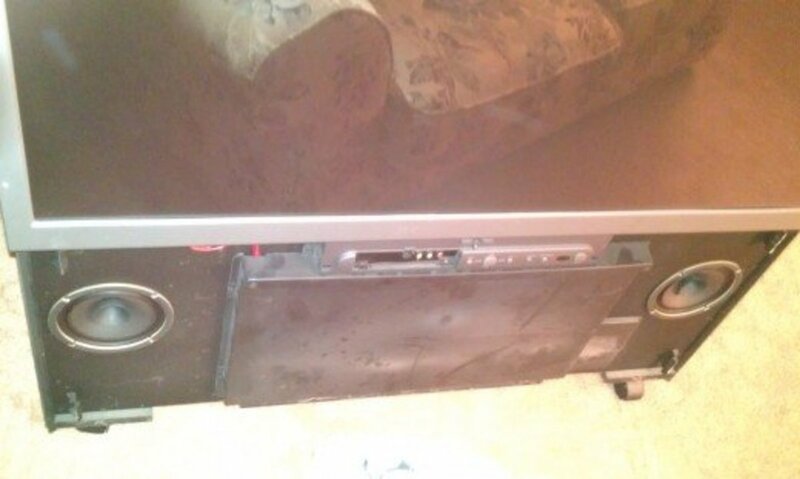 With HDTVs relatively cheap, why would anyone want an old projection TV that does not work correctly? Goodbye, Big Screen Projection TV. You served a purpose well but newer technology has taken over. 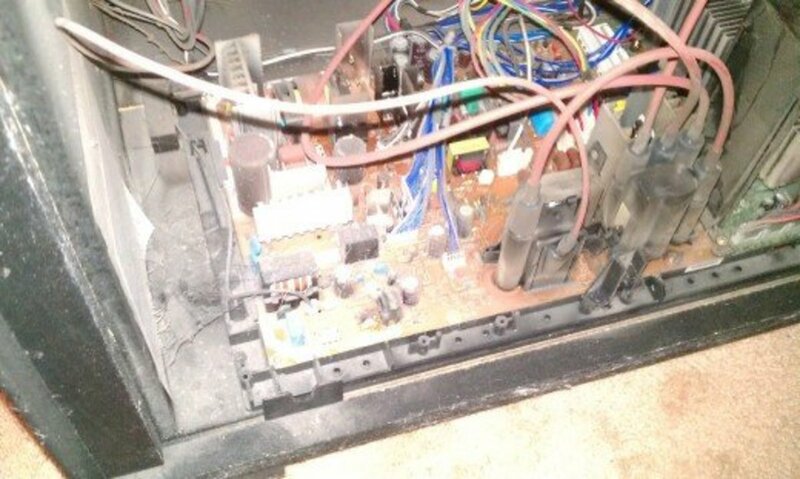 I mean some new TVs do not even carry the old RCA component or S-Video connectors anymore. HDMI connectors have taken over. Makes me wonder what the next ten years will bring with regards to television tech. how do I take down a 52" tv on the wall mounted frame?